During a four-day Thanksgiving Weekend retreat at the Bhavana Society a dozen years ago, I was listening to the society’s founder and abbot, Bhante Henepola Gunaratana, give a dharma talk. A Sri Lankan monk from the age of 12, Bhante G came to the United States in 1968, when he was 40. He earned a bachelor’s, a master’s and a doctorate degree from American University and is widely known for his Amazon.com best-seller, Mindfulness in Plain English. I considered myself fortunate that he was leading that retreat. As I remember it, he spoke that evening about Buddhist redemption or grace. No one, he said, could do something so evil that he or she would forever fall from grace. Well, unless what they did was a special class of evil, like killing one’s parents. Retreats like that one are not easy for me. Maintaining silence keeps me acutely aware of my alone-ness. No food after noon removes a much-used distraction. That’s the idea — being alone with ourselves and removed from distraction — but now this widely respected teacher had wounded my psyche. I hurt badly and needed to tell him about my cousin Barry, who was not evil. He was a good man, a man I loved, whose illness led him to shoot his parents to death. When the time came and I entered the abbot’s office, I did my best to complete the usual three prostrations. They’re not easy for someone with artificial hips. Bhante G detected my awkwardness and waved “enough” after two. I explained that something he had said upset me and I needed to explain. I told him about Barry and the disease of paranoid schizophrenia. Amazingly, this highly educated, world-traveled holy man didn’t seem to get it. He kept asking me why Barry killed his parents. I guess the cloistered life has its limitations. I try to avoid stereotyping, but people from Asian cultures sometimes have even more difficulty understanding mental illness than we in the West do. I’ve also learned since then that the Buddha also mentioned killing one’s parents as an almost irredeemable act. But Barry and I went through childhood together, and I know he was not evil. A mutual friend once described him as the guy who’d give up his turn at bat to let a less-skilled child play. 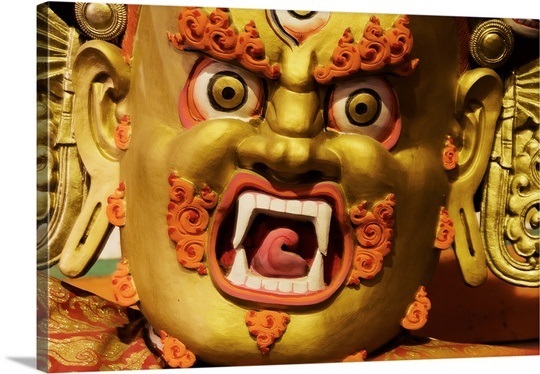 On the other hand, evil — which is personified in Buddhism as Mara — does exist in the world. In my imagination, I see Mara perched on Bhante G’s shoulder when he said what he did in my presence.Mara is a trickster and a tempter. If you don’t fit the flip-the-switch category, then I see you as the product of your genes, your environment, and maybe a little karma. Some time in the mid 1960s I saw Oscar Brown Jr. perform this song in Greenwich Village. I remember it vividly, and it goes well with today’s blog post.